The city offers visitors a number of ways to see the pink dolphin, one of Hong Kong's mascots, including plenty of tours to observe this creature in its natural habitat in the nearby South China seas. Technically, the pink dolphin is a species known as the Chinese White Dolphin, but the creature gained its name from the pink spots on its skin and was later adopted as a mascot of the city due to its large populations near Hong Kong. While there is no definitive scientific explanation for the dolphin’s pink appearance, it’s believed the blushing pink color is caused by the animal trying to regulate its body temperature, though the lack of natural predators such as sharks in the area means they may also have shed their natural grey camouflage. The natural habitat of the pink dolphin is the Pearl River estuary, with the largest groups clustered around Lantau Island and Peng Chau. Your best bet to see the creatures up close is Dolphinwatch, a quasi-environmental tour group that offers regular boat trips to Lantau and a 96 percent success rate on sightings. The group offers three trips a week (Wednesday, Friday, and Sunday), and if you fail to spot a dolphin on your trip, you can join the next available trip for free. While the dolphins really are a majestic sight to behold, it’s important to be aware that you won’t get a Seaworld-level show or performance from these wild animals. Also, due to dwindling numbers and ecotourism in the region, sightings tend to be uncommon and brief—according to a recent World Wildlife Fund (WWF) estimate, there are around 1000 dolphins in the whole Pearl River estuary. The tour takes roughly three hours, during which you may see the dolphins for just a couple of minutes. It is, nevertheless, well worth the effort as the natural and manmade sights around Hong Kong and the Pearl River estuary are gorgeous in their own right. Be sure to bring a camera and pick a day that's not too overcast to go out on the water. Major factors that contribute to the​ decline of the pink dolphin are a loss of habitat, mostly caused by the Hong Kong Airport project, pollution in the Pearl River Delta, and the massive amount of shipping in and around Hong Kong, but the tours themselves are also problematic for dolphin populations. The WWF Hong Kong does not support Dolphinwatch or any other tours to view the Pink Dolphins, but Dolphinwatch maintains that it follows all best practices to minimise its impact on the dolphin’s habitat and that its tours are only a fraction of the shipping in the area. It also claims that the awareness it raises of the pink dolphins' plight (a lecture is involved on every tour) counterbalance the negative effect of its tours. Dolphinwatch also donates money from the tours to Friends of the Earth and actively lobbies for Pink Dolphin conservation. 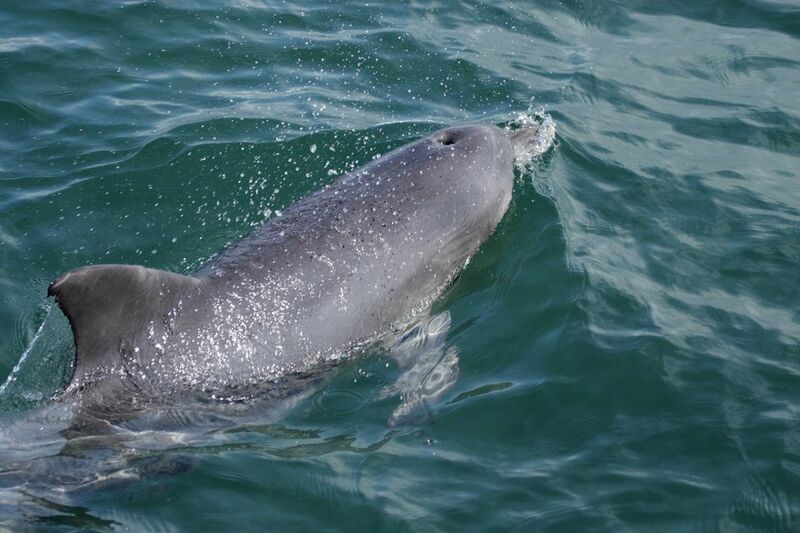 If you want to see the dolphins, Dolphinwatch offers the most eco-friendly tour available. Is a Hong Kong Disneyland Package Worth It?